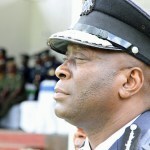 If correctly quoted, the Zambia Police Service cited 67 of the Penal Code Cap 87 of the Laws of Zambia as a weapon it might use to address the spreading spread of false/fake news in the country. This is the wake of the ZAFFICO riots allegedly triggered by falsehoods that the company had been sold out to the Chinese. If this is the case, the Police have misguided itself. Unless, the police legal department is sleeping, I recall that section 67 was nullified by the High Court judgment delivered by Judge Isaac Chali on December 14, 2014 in case of McDonald Chipenzi, 2 Others vs. The People HPR/03/2014. Under this case, we were charged with one count of publication of false information with intent to cause fear and alarm to the public contrary to 67(1) of the Penal Code, Chapter 87 of the Laws of Zambia. In this judgment which the Zambia Police Force then was the complaints and never appeal it, the Court declared section 67 as null and void. Judge Chali explicitly explained thus, “further, the prosecution and conviction under Section 67 appears to me not to be dependent upon any actual occurrence of public fear or alarm or disturbance of public peace. It all depends on the state’s perception of possible impact the expression may have on the public and if the court can be persuaded positively. The law is intended to install a danger, which is both remote and uncertain, arising out of the “false news”. Judge Chali concluded thus, “in conclusion, I find and hold that section 67 does not fit under 20 (3) of the Constitution…I therefore, find that section 67 does not pass the test of being “reasonably justifiable in a democratic society”. “It contravenes Article 20 of the Constitution and is NULL and VOID, and therefore, INVALID FOR UNCONSTITUTIONALITY”. So I thought I should remind not only the Police but the Zambian citizens that one should or must be charged or prosecuted under Section 67 of the Penal Code because it does not exist in the current Zambian statutes.